After more years than I care to admit, my last proper article based on my dissertation research is out (although there are a couple book chapters yet to come that include data from it as case studies). This one, though, represents the meat of my dissertation. (1st-2nd c AD, Rome) was likely an immigrant. Unsurprisingly enough, since Imperial Rome was ridiculously complex, it's taken a while to work through the data, and especially to take into account all the things that wonkify (yes, that's a real science term) the isotopes. Whereas most bioarchaeologists who do isotope analysis can be pretty sure their local population was eating, drinking, and living locally, it's impossible to start from that assumption in Rome, what with the importing of grain, the aqueducts bringing in millions of gallons of water a day, and the moving around the Empire. So this article is not the last word on migration and skeletons -- in fact, in most ways, it's the first. And I hope that more studies are done (including my own ongoing work with DNA) to dig into the complexity rather than shy away from it. I published this in PLOS ONE because it's open-access, and it's important to me to have these data and interpretations accessible to anthropologists and classicists alike. That's also why much of the writing isn't heavy on the science jargon -- I frequently get comments on my peer-reviewed articles that mention their readability, and I can thank my blogging for that. Finally, I have also opened up my entire database from this project, as it was funded by the NSF, Wenner-Gren, and UNC, and there's no sense in my sitting on the database any longer, even though there are unpublished data in there (e.g., dental pathologies). But without further ado, below are a link to the PLOS article, a link to the original relational database, and a collection of news media coverage in at least half a dozen languages. Killgrove K and J Montgomery. 2016. 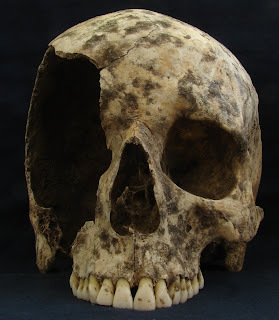 All roads lead to Rome: Exploring human migration to the eternal city through biochemistry of skeletons from two Imperial-era cemeteries (1st-3rd c AD). PLoS ONE 11(2): e0147585. doi:10.1371/journal.pone.0147585. IFLScience - Where Did Ancient Rome's Migrants Come From? Ancient Origins - Nameless Immigrants and Slaves In Rome: Who Were They? Where Did They Come From? Scienze Fanpage - Chi erano i migranti nell'antica Roma? Sputnik News - Des migrants dans la Rome antique?